The Petface Farmyard Buddies Chunky Chicken is a quirky plush dog toy. 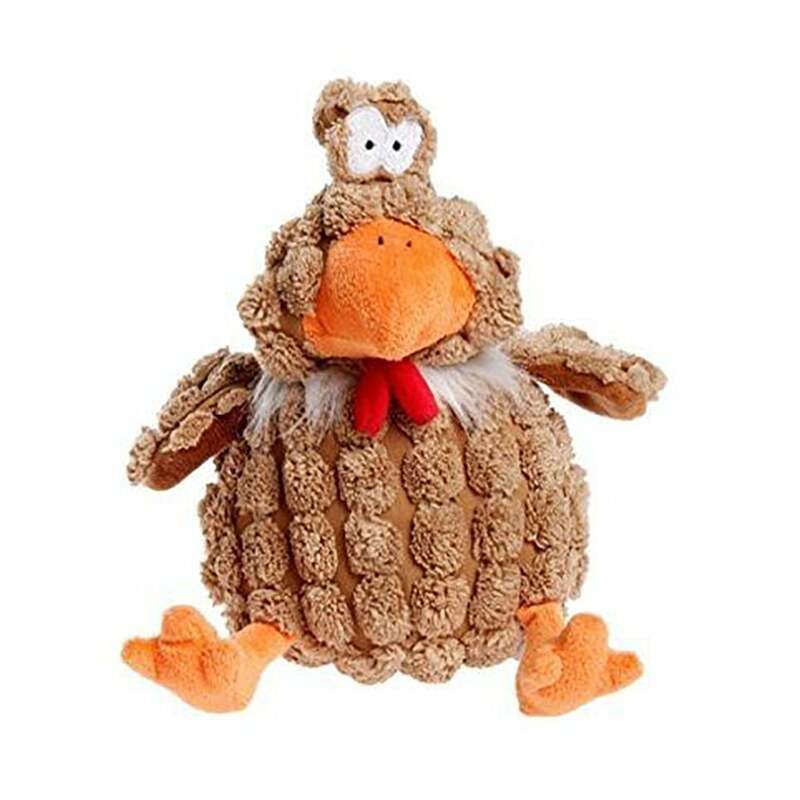 This Chunky Chicken features a textured body and head as well as a ring of faux fur around the neck and a squeaker in the main body. At 7.5 inches tall and 13.5 inches around the widest part of the main body this toy is most suitable for medium - large breeds.